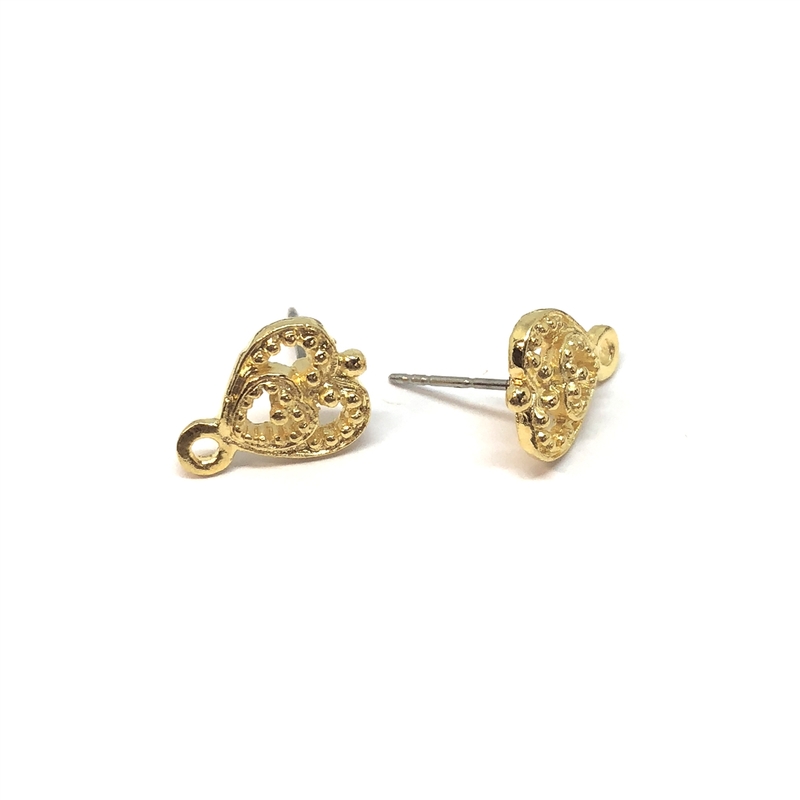 Double heart earring stud with accent drop, 22K gold finish pewter, Victorian style, pewter castings, B'sue by 1928, US made. Measures 14 x 10mm (measurement includes end hole). Lovely double heart with accent drop. Post measures about 10mm with three notches for thin to thicker ear lobes (without ear nuts). Just lovely. Has the 1928 signature design on the back. 22K Gold Finish is a rich bright gold wash over the pewter. Very strong and sturdy, it is lead and cadmium free as are all our finishes at B'sue Boutiques. Made in the USA. At this time, you can find this line ONLY at B'sue Boutiques, made for us in lead-free pewter, so finely cast, you will not believe the detail. Sold by the pair.